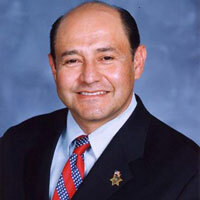 Congressman Lou Correa represents Anaheim, Garden Grove, Orange, and Santa Ana in California’s 46th District. He formerly served Orange County in the California State Assembly, State Senate, and as an Orange County Supervisor. Congressman Correa is a longtime Orange County resident with deep local roots. To this day, he lives only three miles from his childhood neighborhood. The Congressman is the son of working class parents whose hard work gave him a chance at success. He has spent his career fighting to protect the American Dream and to ensure that anyone can reach the middle class, just as he did. Congressman Correa serves on the House Homeland Security Committee, for which he is the ranking member of the Subcommittee on Oversight and Management, and a member of the Subcommittee on Border and Maritime Security. He also serves on the House Veterans’ Affairs Committee as a member of the Subcommittee on Health and the Subcommittee on Economic Opportunity. Lou lives in Santa Ana with his wife of 25 years and their five children. He can be found at community events every weekend.